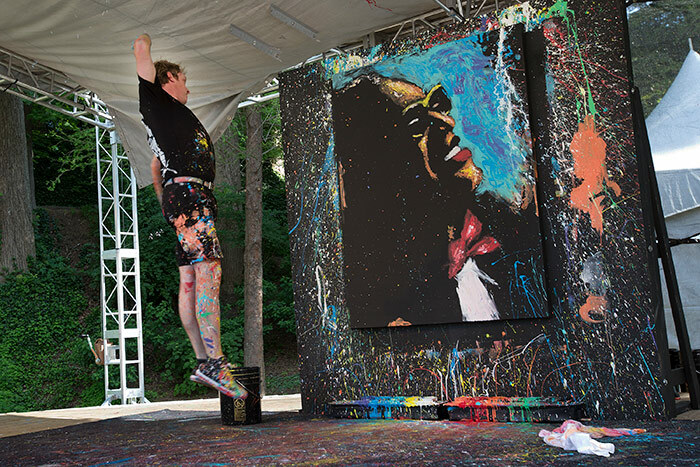 Once again this year, the Art in Action stage will feature visual performing artist Brian Olsen. 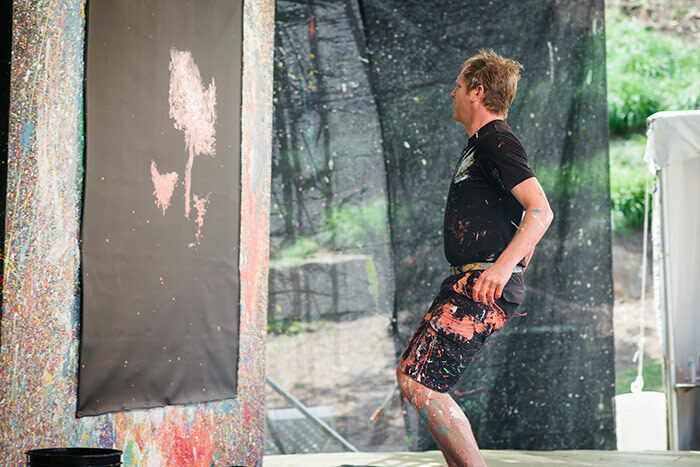 Brian Olsen’s Art in Action is an explosion: a colorful display of paint, energy, music, and passion. 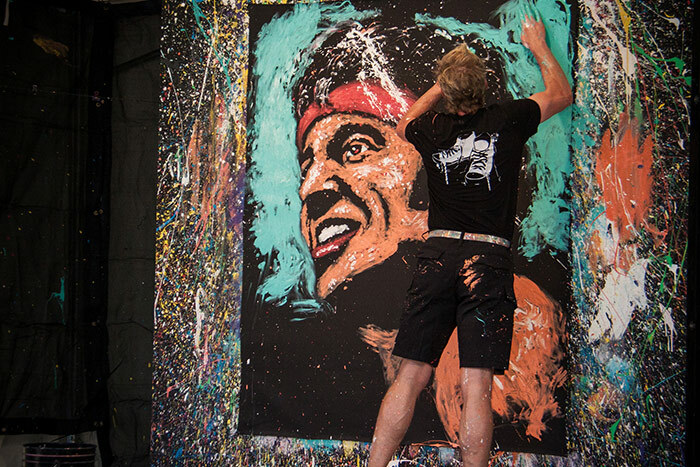 Using fingertips, palms, elbows, and up to three brushes in each hand, Brian paints portraits of famous people including musicians, sports figures, and top corporate heads on a four and a half by six-foot canvas in a matter of minutes. His creations are choreographed to music that is powerful and stimulates the senses. Brian’s Art in Action is described as “an emotional experience” taking his audience through an amazing journey of excitement, suspense, cheer, and surprise. His ability to captivate his audience and share the experience of color, music, and action is a way to bring people into the world of art and creativity.